In 2016 I finally read War and Peace, spurred to do so by the Andrew Davies BBC version. I was sometimes ahead of the dramatisation and sometimes behind, boring anyone within earshot with a refrain of "It's not quite like that in the book ... " I found that simultaneous viewing and reading worked well, the TV drama helping me to identify the huge cast of characters; I enjoyed the BBC's glorious production values and superb acting (especially Paul Dano, so endearing as the well-meaning but often misguided Pierre Bezukhov, Jessie Buckley as Marya Bolkonskaya and Ade Edmundson as Count Rostov), while for epic scale and sweep the novel can't be rivalled. I'd happily both watch and read again. New novels that impressed me this year were Tracy Chevalier's At the Edge of the Orchard, Sarah Moss's The Tidal Zone and Sarah Perry's deservedly-praised Victorian Gothic The Essex Serpent. I'd already read several of Tracy Chevalier's titles (including the excellent Remarkable Creatures, which I've reviewed here) while Sarahs Moss and Perry are authors I'll be looking out for in future. 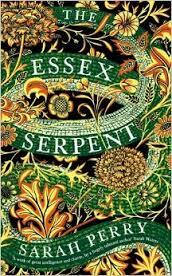 I shall certainly re-read The Essex Serpent, and the same goes for Ali Smith's dazzling How to be Both – two linked but very different stories, one of a modern teenager undergoing therapy, the other of a Renaissance frieze-painter - which can be read in either order, with links and overlaps gradually revealed. In this ingenious jigsaw puzzle of a book, there's more than can easily be picked up in a single reading. 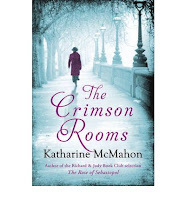 It was thanks to my Reading Group that I read Katherine McMahon's The Crimson Rooms, set in the immediate aftermath of the First World War: a murder mystery, seen through the eyes of a young female lawyer, and a poignant and realistic portrayal of the effects of war on participants and others. My final fiction choice is Trio, by Sue Gee, which has all her hallmarks: powerful emotion rooted in realistic situations, wonderful sense of place and time (Northumberland, in this case, in the late 1930s), acute observation of weather, seasons and human behaviour. There's music too, in this latest novel; descriptions of performances by the Trio of the title will have you searching YouTube or your CD collection so that you can listen as they play. And reading Sue Gee always makes me want to write, which is a bonus. 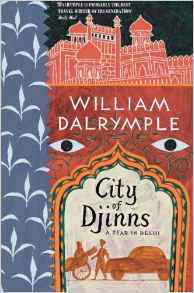 William Dalrymple’s Nine Lives went with me on my first trip to India, two years ago, and this year City of Djinns: a Year in Delhi was the perfect companion – informative, personal, anecdotal - for my visit to the city in February. I’ve included Richard Mabey’s Flora Britannica because it’s a favourite non-fiction choice for not just this but every year, with its mix of botany, natural history and folklore – I always dip into it around the winter solstice. 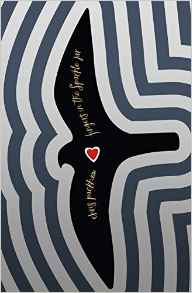 Finally: Fingers in the Sparkle Jar is part natural history, part memoir, by naturalist and Springwatch presenter Chris Packham. I greatly admire Chris Packham for his vast knowledge of wildlife and his ability as a communicator, and also for his outspokenness on matters of animal abuse and the environment. This was a revelation – a highly personal account, with striking literary echoes, of his teenage years, his close observation of - and at times identifcation with - birds and animals, and the therapy he underwent later when suffering from depression. I wonder what he’ll write next? There are an awful lot of variations of the name ANNE in my pick of the year but that's a pure coincidence. This list will leave out many books I liked a lot, but that can't be helped. It's not in order of merit but roughly in the order I read them. I cannot account for why Tana French's cover image is larger than anyone else's. Here goes! 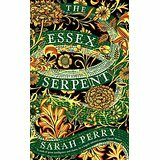 1) THE ESSEX SERPENT by Sarah Perry. I was an early adopter of this splendid novel. I read it in a black and white covered proof so was not seduced by the astonishingly beautiful cover. It's a most enjoyable and deliciously Gothic historical novel, with so much in it that you wonder how Perry has covered the ground, without losing impetus, structure or interest. The prose is fabulous throughout. It's on the Costa shortlist and I'd be thrilled if it won. 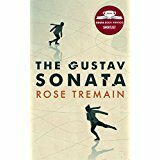 2) THE GUSTAV SONATA by Rose Tremain. Tremain has been a favourite writer of mine for many years but this is perhaps her most moving novel. Set in Switzerland and covering a period from the Second World War to the 70s, it is the story of a friendship like no other I've read. Warning: it is also almost unbearably sad at times. Also on the Costa shortlist and I would not be sorry if it won. Could we have two main prizes? 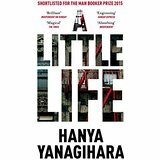 3) A LITTLE LIFE by Hanya Yanagihara. This novel was very controversial when it appeared, dividing readers. Those who loved it were enthusiastic. Those who didn't said it was too violent, the child abuse themes were too graphic and so forth. They objected to the 'realism' of having four best friends in New York who were quite so successful. Unlikely, they said. Not convincing. They objected to a portrait of the city which didn't even mention 9/11. I read it over my summer holiday (it is 900 pages long but you don't notice on a Kindle) and I can truthfully say that it's the best novel I've read not just this year but for many years. I think people misunderstood it. I reckon it's a fairytale. I think the child abuse elements are the Dark Forest we know from so many of the Grimm stories. And the moral: what will survive of us is love seems to me to be a good one. Jude is a fairytale hero. I was moved, excited, and overcome with admiration for the writing and the way Yanagihara makes New York a magical place, full of strange enchantments and ogres in plenty. Do try it, but don't beat yourself up if it isn't your sort of thing. As I say: this book divided readers. 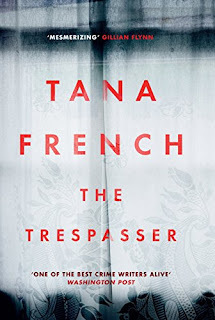 4) THE TRESPASSER by Tana French. French ought to be more widely read and much more admired. 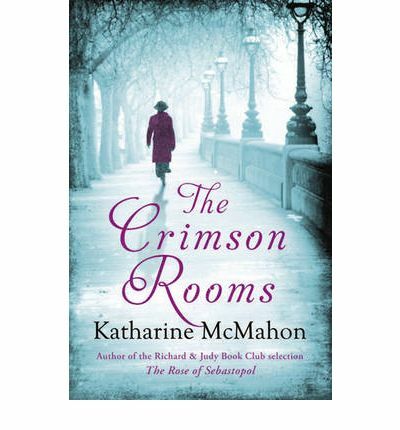 Her novels, set in Ireland, are just as good as many of the Irish books which win prizes, but with added crime. Do not miss FAITHFUL PLACE and BROKEN HARBOUR. This one is also terrific and different from those. It's a first person police procedural which will make you feel part of the group of cops at this particular station. Good crime, characters you can warm to and a narrator who has a great line in humour too. 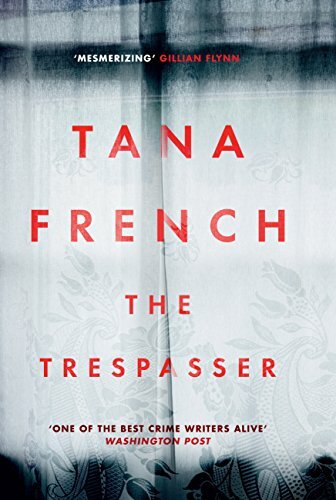 If you like detective/crime/psychological thrillers, make 2017 the year you get to know Tana French. 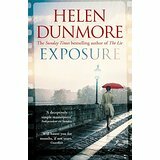 5) EXPOSURE by Helen Dunmore. Dunmore is a safe pair of hands and this novel is very good indeed. It's a rather unusual spy story with elements that will remind you of Graham Greene. A moral dilemma, interesting characters, a spot-on evocation of the post-War period and just ripe to be turned into a television series. Read it first before that happens. Dunmore is also a poet and it shows. 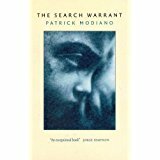 6) THE SEARCH WARRANT:DORA BRUDER by Patrick Modiano. Prize for the most extraordinary reading experience of the year goes to this book by the Nobel prizewinning French writer. When he won the Nobel, I had not heard of him. I have now downloaded three more books. This one is very short, and in a way, not really a novel at all. Nothing much happens. A man looks for someone. That's it. It's a novel full of spaces, gaps in narrative, holes in the fabric of the world and it manages to say so much precisely because of these gaps about the Occupation of Paris in the Second World War. It reads very easily. The narrator tells us street names. What was there once. What is now there. He mentions people and speculates on what has happened to them. He walks around. At the end, you're shattered and wonder what the magic of this book is, exactly. It was a complete eye-opener. 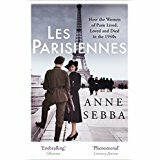 7) LES PARISIENNES by Anne Sebba. After reading Modiano, I really wanted to know more about the time of the Occupation of Paris and this book came along right on cue. Sebba takes us in detail through those days as seen through the lives of the women of the city: those who resisted, those who collaborated, those who did the best they could. It's a lavishly produced doorstopper with lots of photographs and by the time you've read it, you have lived vicariously through those days and experienced them through the words, and memories of the living and the dead. Sebba interviews many survivors of that time and their testimony is particularly moving. For anyone who loves truly readable history. 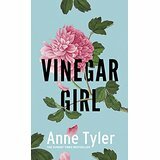 8)VINEGAR GIRL by Anne Tyler. There's no question in my mind that Tyler is the Great American Novelist and I would love her to win the Nobel prize. For decades, she's written about a small corner of the USA, (Baltimore) and made it her own. She is an elegant but unostentatious writer; one of those whose prose seems organic, as though it has grown naturally on the page with no discernible effort from the writer. Her subject is families and their eccentricities and emotions and relationships, which is probably why she is not a Nobel Laureate. Her books count as Domestic Fiction which of course is regarded as Lesser. It's not War. It's not Politics. It's not Fantasy. It's not Crime...it's people doing the best they can to get through life. VINEGAR GIRL is her take on Shakespeare's The Taming of the Shrew, part of the Hogarth series of novellas, and it's quite delightful. It's short and slight and perfect. You will laugh, and cry and fall in love with the heroine and her unlikely hero. I thought it was great. 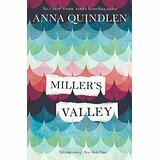 9) MILLER'S VALLEY by Anna Quindlen. I love Quindlen's novels. She ought to be better known here and I thought this book was so good I reviewed it on this site, so won't go on about it too much... do read it, and try also STILL LIFE WITH BREADCRUMBS which is also very good indeed. 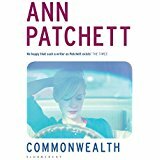 10) COMMONWEALTH by Ann Patchett. Almost at the end of the year comes one of the best novels of all. Patchett has used her own family history, I think, to write about what are now known as Blended Families and she does it so well and so movingly and sensitively that you feel by the end as if you've met and known every one of the many characters. It's a warm-hearted, generous and enthralling story of flawed but very recognisable people. I really loved it. Merry Christmas and Happy 2017 to all readers of this blog. Hope your own reading experiences prove enjoyable. DO NOT READ A BOOK YOU'RE NOT ENJOYING....your life is too short. Today is the Solstice. The shortest day. 'The year's midnight'. A time to look back over the year departing: where we've been, what we've seen, what we've done. Today, my fellow Writer Reviewers Linda Newbery, Adèle Geras and I will be sharing what we have been reading in 2016. In the spirit of the blog, the books we've chosen certainly weren't all published this year. These are our personal choices. Feel free to comment, quarrel or proffer your own. We'd love to know what you would have picked. I've been reading a lot of non fiction this year. 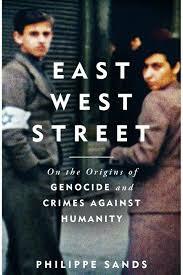 One of the books that impressed me most was Philippe Sands' East West Street: On the Origins of Genocide and Crimes against Humanity. Sands is a Human Rights lawyer. His maternal grandfather was Jewish, from the city of Lviv, now in Western Ukraine. By tracing his grandfather's escape from that city, which would see the annihilation the rest of his family, Sands offers a highly unusual and deeply personal view of the Holocaust. He also follows the lives of Nuremberg prosecutors, Hersch Lauterpacht and Rafael Lemkin, who were also Jewish and lost their families in Nazi held Lviv. It was through their efforts that the terms 'crimes against humanity' and 'genocide' were included in the Nuremburg judgement. Across the court from them sat the defendant, Hans Frank, Hitler's personal lawyer and Governor-General of Nazi-occupied Poland and who set up his headquarters in the city that connects them all. I found this clever book utterly absorbing and profoundly moving. It begins in Nuremberg and ends in a quiet woodland glade where the remains of three thousand five hundred Jewish men, women and children still lie, some of them relatives of Sands, Lauterpacht and Lemkin, all of them victims of Frank who would hang for his crimes. 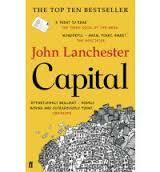 I read John Lanchester's Capital after watching the serialisation of the book on TV. Lancaster focuses his attention on the people who live in one street in a South London suburb, the value of their houses rising by thousands every week. The street reflects the mix of multicultural London: pensioners, bankers, Pakistani shopkeepers, Polish builders, Eastern European au pairs, African asylum seekers. An immensely clever satire on property values and a sharp examination of the way we live now. One book leads to another and I went on to read John Lanchester's Fragrant Harbour, set in Hong Kong. This ambitious and cleverly constructed novel follows the lives of several different characters and spans a period from the 1930s to the present day and all the changes that the former British colony has seen along the way. I re-read War and Peace while in bed with a bout of flu, my interest re-awakened by Andrew Davies' wonderful BBC adaptation. It took me a week to read but it was a week well spent. 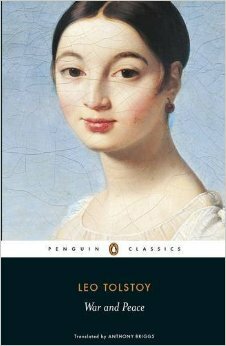 Some critics think War and Peace the greatest novel ever written. I'm inclined to agree. Another novel on an epic scale is Annie Proulx's Barkskins. I'm a great admirer of Annie Proulx. She's one of my writing heroes. She has the rare ability to be able to write about the intimate and small, in her wonderful short stories and shorter novels, and then to write something with enormous, sweeping ambition. In Barkskins, she follows two colonial dynasties across continents and centuries, never losing sight of her characters, never losing track of their stories. Through this, she reveals the appalling ecological destruction of North America's magnificent and irreplaceable primordial forests and the parallel degradation of the continent's Native Peoples. 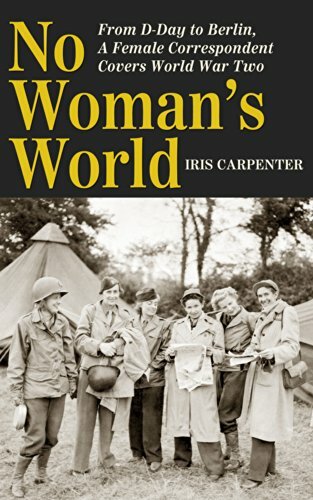 No Woman's World sums up what the female journalists and photographers who reported on the Second World War were told time and again. Iris Carpenter was one of this courageous band of women who did it anyway. She covered the latter stages of the war in Europe, arriving four days after the D-Day landings, travelling across France with the advancing American Forces and ending up in Berlin. 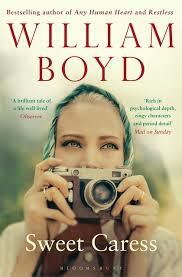 William Boyd's Amory Clay could have been one of this intrepid bunch. Sweet Caress: The Many Lives of Amory Clay follows the life of the eponymous fictional photographer through the 20th Century in a panoramic sweep reminiscent of Boyd's 'Any Human Heart'. Amory begins her career as a society photographer in the '20s but she is soon exploring Weimar Berlin, Jazz Age America and Blackshirts on the streets of London. She goes on to record the Second World War and Vietnam. Amory is British but it is possible to see fascinating traces of Lee Miller and Martha Gellhorn, Iris Carpenter, Margaret Bourke-White and others in her fictional life. The text is punctuated by actual photographs - a nice touch! 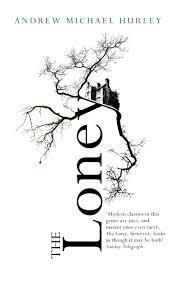 I've always been a fan of the Gothic and two novels this year, The Loney by Andrew Michael Hurley and The Essex Serpent by Sarah Perry, have fed my appetite. Both were published to high and deserved acclaim. The Gothic is a difficult genre to do well but both these novels, seemingly very different, one modern, one historical, one set in the north, the other in the south, capture the sense of strangeness and 'the other' lurking just below ordinary life. They both inhabit a similar landscape: drab estuarine borderlands of salt marsh and mud flats with treacherous weather, dangerous tides and unpredictable currents moving under the surface and use it to great effect. They also have that haunting quality common to all good Gothic. They stay in the mind long after the last word is read. Finally, I've been reading a lot of spy fiction over the last couple of years for reasons that I trust will one day be clear. 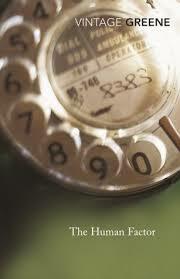 I end with The Human Factor by Graham Greene, the spy novel of spy novels by the master the genre. Another tricky one to do well. Many try but few succeed. Forget James Bond, even George Smiley. This is what being a spy is really like. Jocelyn Ferguson was born in Scotland and grew up there and New York. She is author of Rope Tricks (Virago) and Anne Hathaway, an award winning play performed at Birmingham Centre for the Arts. 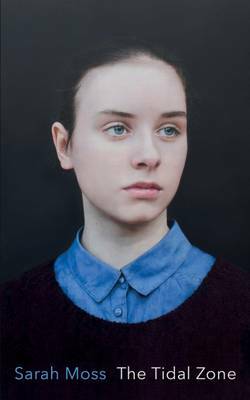 She has won both an Arts Council Award and a Hawthornden Castle Residency. She has taught Creative Writing at Keele University and, most recently, at the Seamus Heaney Centre in Queens University, Belfast. She now lives in the south of France. 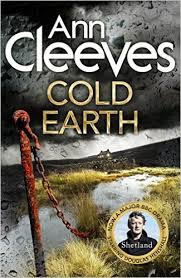 Crime Fiction fans of Ann Cleeves have come to expect a compelling narrative, a powerful sense of place and atmosphere, acute characterisation and pared back prose, and with Cold Earth, her seventh novel in the Shetland series, she does not disappoint. It has been raining so hard and for so long on Shetland that while DI Jimmy Perez attends a funeral, the hillside behind the graveyard begins to slip relentlessly down towards the sea. Tombstones tumble, the road vanishes, and the stout stone walls of a cottage collapse and disappear. In the aftermath, the body of a woman is discovered with the detritus from that cottage. Considering the weather and the terrain, she is curiously dressed in red silk. And, more curious still, no one on the island appears to know who she is. A post-mortem reveals that her death was not, as assumed, a tragic consequence of the landslide. It was “violent and quite unnatural”: she’d been strangled. At which point Jimmy Perez digs his teeth in; he becomes a man possessed. But unlike single-minded Vera Stanhope, Cleeves’s best known detective, Jimmy has other pressing issues to deal with, most of them of his own hyper-sensitive making, He frets about his step-daughter and about the (possible) blossoming romance with detective Willow Reeves. Is it too soon after the death of his ex, Fran, he wonders? Is Willow really interested, he wonders? He’s not very good at reading the signs, and Willow, in turn, can’t tell his come-ons from his confusion. These ‘other issues’ form the backdrop to the gradual unravelling of the central mystery. And it’s in this that Ann Cleeves’s strength as a writer lies. Her characters are so warmly and solidly depicted, they steam in the dank atmosphere of a Shetland winter. Jimmy’s personal fears and uncertainties keep his feet firmly on the ground, while his astute perceptiveness (Willow notwithstanding) and dogged tenacity make him a fearsome detective. We like him a lot. He’s a very good egg: he’s nice to children and quietly considerate of others, especially women, even while he notes the smallest discrepancy in each conversation. DC Sandy Wilson, Jimmy’s insecure bagman and the island's other main police presence, regards him with some awe. Discovering the dead woman’s identity is essential to uncovering her killer, and the former has to be done before Jimmy can really get to grips with the latter. There are implications in this for tension and pace. Cleeves deals with the pitfalls by focusing our attention on a handful of islanders with edgy secrets, who may or may not have links to the woman. And thus we get much too of local Shetland culture. At the same time, the geography of the island solidifies. At every turn we view with Jimmy the bleakly beautiful landscape he has chosen for his home. It’s a fitting context for disturbing undercurrents. Cleeves is on record as saying that she may well kill her hero off in the next, final book in the series. She fears the absurdity of so many murders within the confines of a relatively small (and relatively peaceful) island – a kind of ‘Midsomer’s Murder’ effect. We can only commend the fact that her work is rooted in the plausible but I, for one, would emphatically regret Jimmy Perez’s passing. They say that moving house is one of the most stressful life events, up there with losing a job, marriage, divorce, death of a spouse. Adèle Geras uses her considerable skill to weave all these peak stress experiences together in her thoroughly enjoyable Love, or Nearest Offer. The people on estate agent Iris Atkins' books are not just looking for a new house, they are seeking new lives, new partners, new opportunities. We often look on the right move as a chance for a fresh start. Expectations are high, so are the disappointments. The ideal home can prove as illusionary and elusive as the ideal life. Will they? Won't they? Will the deal fall through or will they complete? 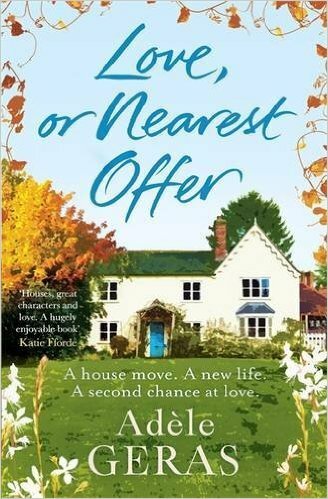 The nailbiting ups and downs, the triumphs and pitfalls of the property ladder makes this as much of a page turner, as much of a rollercoaster ride as any thriller. Geras cleverly taps in to the common trauma, uncovering our own anxiety. We've all been there, haven't we? Recent and raw or distanced by years, the experience is is all too easily recalled. Her characters are immediately recognisable and appealing: the widower, the divorcée, the young couple with child looking to swap a flat in town for a family home. Geras builds their lives and personalities with care and patience, exploring their different points of view. She knows that the more we know about them, the more we will want to know and the more we will want to find out if they are making the right move. The story is told over a year. Plenty of time for things to go wrong. The book is not just about house moves, good or bad, it is about life moves and what the characters actually need beyond the right house and garden, balcony with a view. Iris Atkins is no ordinary estate agent. She's the kind of estate agent we all yearn for. A fairy goddaughter of estate agents, dedicated to matching the right property to the right client, busy finding neat solutions to their housing needs while sorting out their messy lives. So busy, in fact, that she scarcely has time to put her own life in order. Will she get her own chance of happiness? Iris is the matrix that holds the story together so, of course, we hope she does. Adèle Geras is not just good at people, she is good at houses. The properties are as important as the vendors and buyers. We need to care who will end up where. Geras is a superb writer about things: houses and gardens, fixtures and fittings, furnishings, look and texture, so different from Robinson & Tyler 's chirpy Newsletter, Bruce's Barnet Bulletin. We begin to want along with the characters, to share their surging hopes and crushing disappointments as deals form and fall through. This is a thoroughly engaging, captivating novel. It takes real ability and experience to write with such seeming insouciant ease. Adèle Geras quickly enmeshes us in the lives of her characters. We are invited to follow the different strands of their stories like some complicated knitting pattern, to wonder how it will all work out, not least for the inestimable Miss Atkins. Will she, won't she find happiness? The author keeps us guessing until the very last page.